Save the date…It’s that time of year again, the first edition of our bi-annual Visvim Trunk show. Saturday March 3rd & Sunday March 4th. 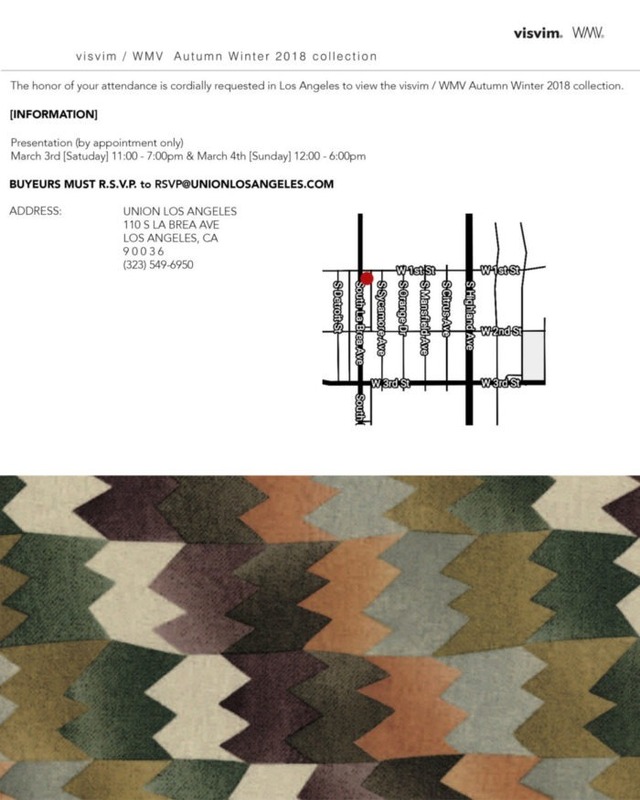 For those of you that already know, please go ahead and contact us at RSVP@unionlosangeles.com to hold your spot. Make sure to request a day/time in the email. For those who don’t know, this is where we bring out the first look at a selection of samples from the upcoming AW18 collection for you to try on and pre-order. This is by appointment only so please make sure to email us.